For years, there has been talk that The Big Lebowski might get a sequel. And it was a rumor spurred on by star Tara Reid, who said it was happening. The reality is, it will probably never happen. Not as long as original directors Joel Coen and Ethan Coen are still alive, anyway. 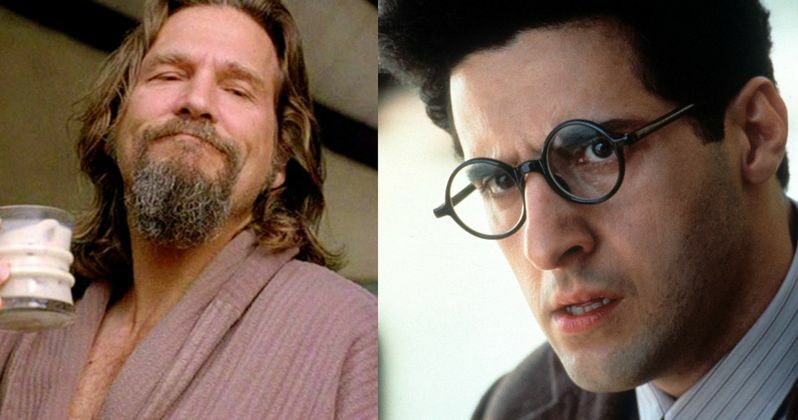 Fans have been hoping that the Coen Brothers would return to the wacky and wonderful world of The Big Lebowski. And the hope has always been that Jeff Bridges reprises his role as The Dude. There has also been talk that John Turturro might even get his own Jesus spinoff. Neither imagined scenario is ever likely to happen, though. Variety recently caught up with the legendary directing duo to discuss their new Golden Age comedy caper Hail, Caesar!, which is in theaters this week. The pair shot down any notion that they'd ever even engage in attempting to do a sequel to The Big Lebowski, which quickly became a cult hit after its 1998 theatrical debut, and has since spawned many conventions dedicated to its various oddball characters. About Tara Reid's insistence that the movie was happening, Joel Coen offered this. "Tara Reid likes to announce that just like [George] Clooney likes to announce 'Hail, Caesar! In this case, I don't think we'll oblige." In terms of Hail, Caesar!, George Clooney announced to the press that it was his next project, even though the Coen Bros. had yet to commit to the movie. The actor actually ended up pushing them to finish the script. It appears that Tara Reid just doesn't have the same kind of influential pull on the filmmakers. When it comes to the Jesus spinoff, Ethan Coen has just this one word. While the Coen Brothers have never directed a sequel, they aren't against the idea. There is one movie that they'd like to see continued. And that is Barton Fink. But it sounds like that is still a long ways off. Says Ethan Coen about the sequel. "We're going to do a 'Barton Fink' sequel at some point. It's going to be Turturro in Berkeley in the '60s." Joel Coen had this to add about Barton Fink 2. "That's the one movie that we thought deserved a sequel, called 'Old Fink.' But we don't want to do it until Turturro is quite old. He's getting there." What do you think? Are you ready for Barton Fink 2? Are you disappointed that there will never be a Big Lebowski sequel? Or should the Coen Bros. just do all new movies? Sound off in the comments below. Jeff Bridges Returns as the Dude, Is It for a Big Lebowski Super Bowl Commercial?